If you have been following this blog for a while, you will know about my love for accessories and Rachel Zoe. Once I hear of accessories, I think of Rachel Zoe. She is one woman I respect so much in the fashion industry. Her personal style is simply breathtaking and she accessorizes on a whole different level. Accessories should be every girl’s best friend because they have the power to make or break any look. The right accessories will take your outfit from an “OK” level to a “WOW” level, while over accessorizing can ruin your look completely, so you have to get it right. No woman accessorizes perfectly like Rachel Zoe in my opinion. Rachel Zoe is the Queen of Accessories, she nails it everytime.The huge sunnies, the bold necklaces and the huge rings, the shinning bangles and the beautiful bracelets, the gorgeous earrings, you name it, she nails it. No matter the accessory or accessories Rachel Zoe has on, it works with her outfit and that is the most important thing. Getting the accessories right is not always easy though. Zoe usually wears all black, which is quite easy to play around with unlike other colours. Zoe loves her cocktail rings. Check out rings for women. 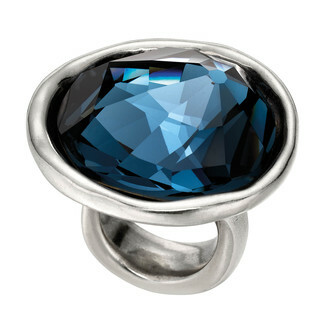 Cocktail rings are still very much in vogue, this ring will spice your daytime or evening wear look, I can picture myself wearing this ring with a black sleeveless jumpsuit, black heels, little silver earrings and a midnight blue clutch to go. 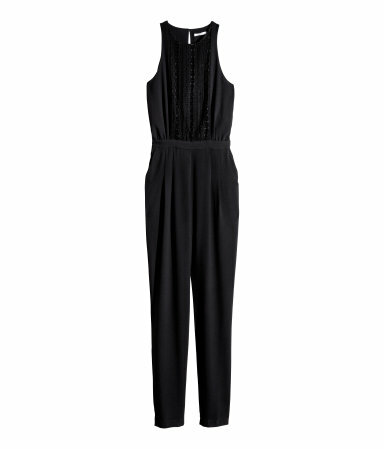 This cocktail ring will accessorize this H&M sleeveless jumpsuit beautifully, do you agree? 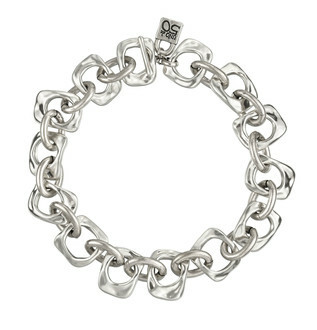 This necklace will look super stylish with a cropped tee-shirt, a pair jeans and some heels. 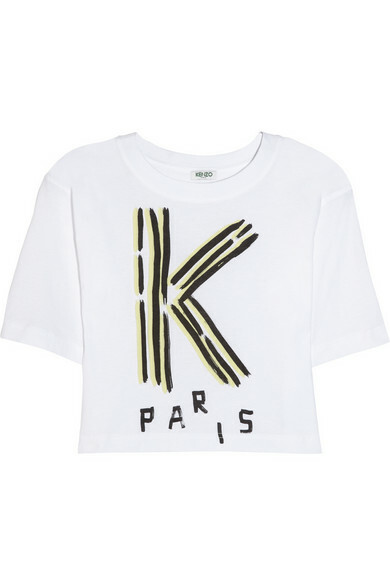 Get this look with this Kenzo cropped cotton T-shirt. What is your take on Rachel Zoe’s accessories? Do you think she gets it right or does she go overboard? Over to you. Pictures Sources: H&M, Net-a-porter, UNO de 50, Galore Mag and Fab Sugar. Our love item for this week is the Leopard Pony Espadrilles by Prism for £150. While our lust item for this week is the Leopard Archilles Skate Sneakers by Mother of Pearl for £250. If money was not an issue, which will you rock? Kelis is wearing a printed dress by Vivienne Westwood. Is this a Yay or a Nay?